This umbrella/softbox combines the best features of both a large 33 umbrella and a softbox. Very easy to set up and use, it is simply inserted into the umbrella holder on your light head. The soft diffuser panel on the front has a sock like opening that slips over the reflector. Reflected light from the umbrella is filtered through the diffuser panel for a soft, even effect. 33 in diameter; Easy to assemble/disassemble; Compact and easy to store. 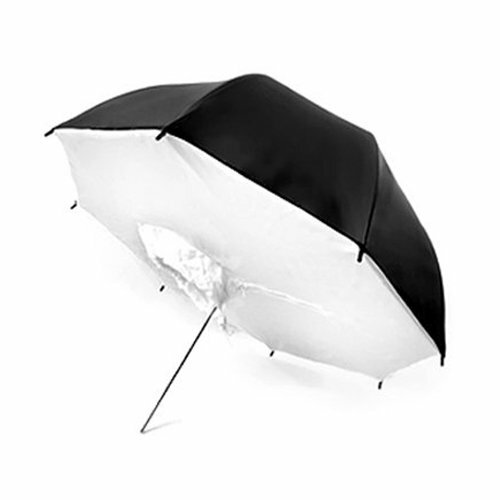 One (1) black/white brolly box; NOTE: Strobe and light stand are not included.